I have had this moroccan lamp with a candle holder inside from Earthbound for awhile now. 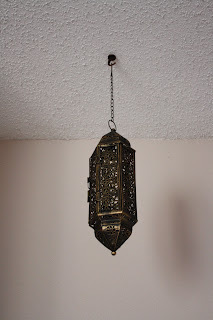 I have always wanted to make a light fixture out of it. So I finally did. I had been looking for a preferable light fixture kit, and I found that at Ikea. They have a 15' long one, which is what I needed. 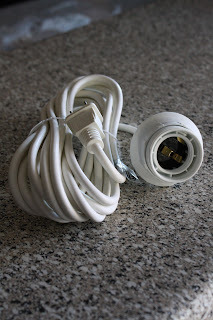 I needed the wire to follow from the ceiling and come down the wall to meet the socket. 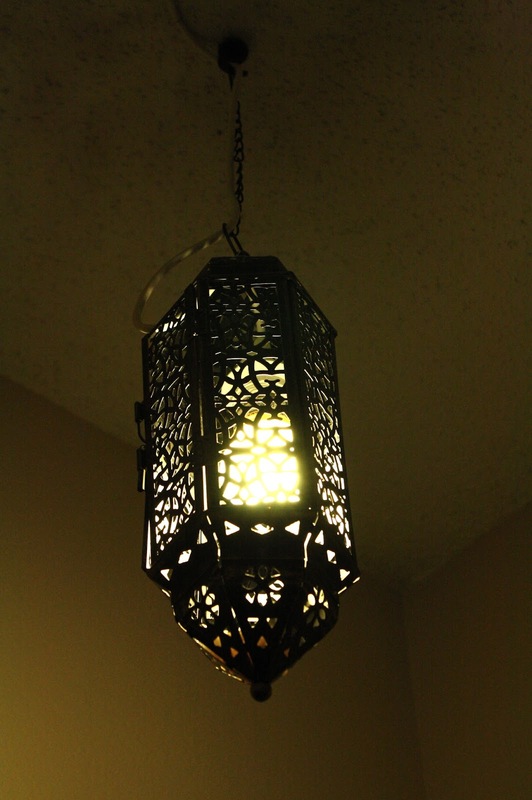 There was not any place at the peak of the lamp shade for the wire to come out, so I had to take it out from the side. 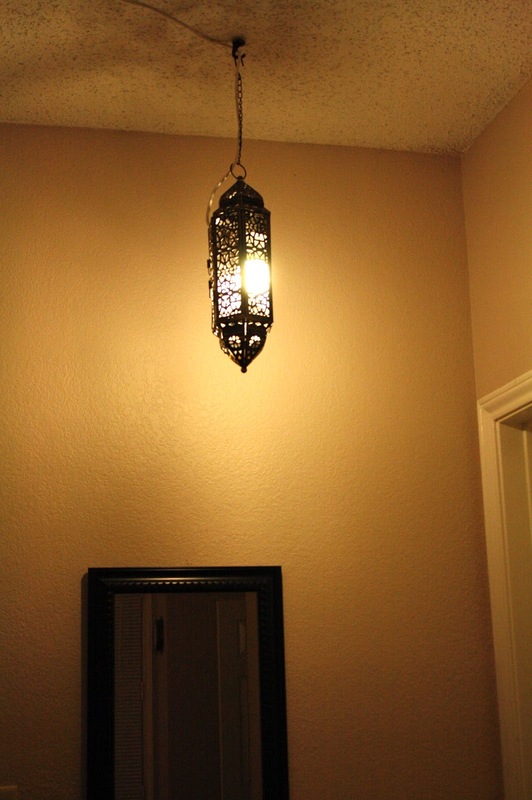 If the lamp shade's chain is taken off and it hangs all the way at the top - then there is a pattern of light cast on the ceiling. But I like the way it hangs. If I have any more fun with such things - you will surely be the first to know!